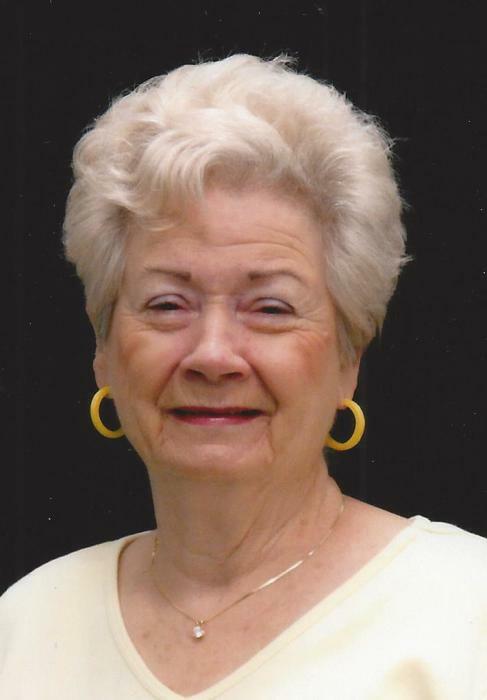 Yvonne Koontz, 88, of Amarillo, died Friday, April 12, 2019. Funeral services will be 2:00 pm Tuesday at Trinity Baptist Church, 1601 I-40 with Dr. Nate Magloughlin officiating. Burial will be at Memory Gardens Cemetery. The family will receive friends from 3:00-5:00 pm Sunday at Cox Funeral Home, 4180 Canyon Dr. Yvonne was born on March 20, 1931 in Hedley to Lowell and Opal Blackwell. She graduated from Amarillo High School in 1949. She married J.O. Koontz on August 19, 1949. They raised their family in Amarillo. She loved the Lord, her boys, and especially her grandchildren and great-grandchildren. Yvonne worked for Phillips Petroleum and Diamond Shamrock. She also modeled furs for Colberts Harry Holland in downtown Amarillo. Yvonne loved her church and sharing her love for Jesus, and created a life built on Christian values. Yvonne was an active member of Trinity Baptist Church and taught 3-4 year old children’s Sunday school classes since 1980. She also very much enjoyed singing. She sang in the Glory Land Quartet from 1980 to 2000, the Double Nickel Choir at Trinity Baptist Church, and the senior choir at First Christian Church. She enjoyed playing games like dominoes and bridge, and always won at skip-bo! She will be dearly missed by all who knew and loved her. Yvonne was preceded in death by her parents; her husband, James “J.O.” Koontz; and a brother, Joe Mac Blackwell. Survivors include two sons, David Koontz and wife Rita, and Jim Koontz and wife Karla all of Amarillo; a brother, Gene Blackwell and wife Barbara of Amarillo; four grandchildren, Valerie Koontz of Mansfield, Eric Koontz and wife Charessa of Amarillo, Littny Payne and husband Jason of Amarillo, and Ryan Koontz and wife Jessi of Edmond, OK; nine great-grandchildren, Rebecca, Kristin, Bowen, Bronson, Charity, Camden, Eliana, Campbell, and Bellamie. The family suggests memorials may be made to Trinity Baptist Church Missions, 1601 I-40, Amarillo, TX 79109.